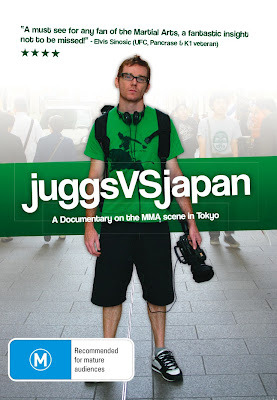 Diary Of An Amateur Documentary Filmmaker's Journey Into The Tokyo MMA Scene. I know, I know,..I hear you, this cat hasn't updated this site for ages. Well after burying myself in editing and finalizing the DVD,..it's done! I have it available to order so email me at planetofthetapes666@yahoo.com (remove the 666's due to spam mail) if you are interested ok? Check out the trailer on youtube! I have decided to resurrect this blog and post my findings on my trips to Tokyo and all things MMA related so keep an eye out for my goings on. Please leave feed back if you get anything out of this blog. I'm an amateur documentary filmmaker and a HUGE Mixed Martial Arts (MMA) fan. I'm a brown belt in Brazilian Jiu Jitsu, and train boxing, wrestling and MMA. I love film, Japan and training. That's about the skinny of it..